Today’s successful grocery stores emphasize freshness – from organic, locally sourced products to environmentally preferred facility maintenance. Nllodor’s Single Scent Solution provides eco-friendly odor control results. From floor to ceiling, from food to flowers, the trend in today’s successful grocery stores is a naturally appealing approach to freshness. For a grocery chain in the mid-Atlantic area, this approach is implemented by stocking thousands of organic products, locally sourced produce, caught-daily seafood, and freshly baked bread. The emphasis on freshness doesn’t end with its food inventory. The highly trained maintenance team is vital in keeping the stores refreshingly clean, bright, and inviting. That includes the restrooms, which are so appealing customers have been known to specifically rave about the cleanliness and elegance. What is rarely discussed, but certainly crucial in providing an inviting environment, is the fresh, clean scent in the restrooms. How do they achieve it? By intelligently integrating an odor control program with cleaning products that are not only effective, but eco-friendly and fragrance coordinated. Years ago, the grocery store chain maintenance team relied on a mixture of cleaning and odor control products without thinking about the different fragrances they were mixing. There was a cherry block in the urinal, a lemon cleaner for floors, and a metered aerosol shooting out a spice scent periodically. Mixed fruit is fine in the produce aisle, but not the ideal for restrooms. Not wanting to give up the basics of the existing restroom maintenance program, the company found NILodor’s Single Scent Solution easily solved the scattered scent problem without disrupting its basic program. The NILodor Single Scent Solution is a package of cleaning and odor counteractant products with the same scent for fragrance consistency. Customers can choose from products with nine different scents: Original Scent, Red Clover Tea, Spring Mint, Lemon, Apple Spice, Cucumber-Melon, Soft Linen, Tango Mango, and Lavender. NILodor’s suggested approach enabled the maintenance staff to keep products they were happy with while adding NILodor’s odor control elements for a single-scent restroom outcome. NILodor provided additional implemen­tation assistance by creating instruction sheets and had sales reps join the local distributor in conducting training sessions for each store. This odor control program performed flawlessly for some time, but as environmental innovations evolved, the question was soon raised about new technologies for a more environmentally responsible program. Once the grocery chain learned there were more eco-friendly options to its existing program, a successful pilot program was quickly completed followed by a fast roll­out to all the locations. The improved program utilizes NILodor’s BioBREAK Multi-Purpose Digester, the first and only Green Seal certified (GS-53) bio-enzyme in the industry. 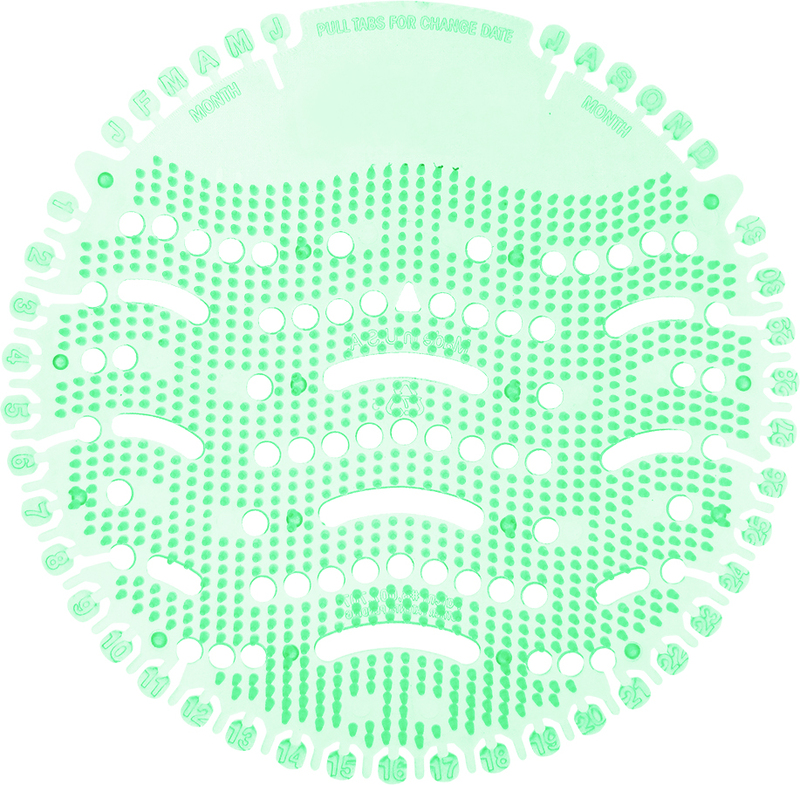 Sprayed around urinals and commodes, BioBREAK uses select strains of natural bacteria, enzymes and NILodor’s proprietary odor counteractant to continually break-down and digest organic waste particles, thus removing the source of restroom malodors. Also available to the maintenance crew is Nilium Odor Neutralizer, a water­ soluble odor counteractant which can be added to the store’s favorite all-purpose cleaner for immediate odor elimination. It can also be added to disinfectants, insecticides, carpet shampoo, or any water soluble cleaning solution. NILodor’s ULTRA Air passive air system with solid odor control refills replaced the metered aerosol system, The 30-day solid odor counteractants do not contain ozone-depleting ingredients, are voe friendly, do not use batteries, and are easily recyclable in any plastic recycle bin. They also fit into most other competitor cabinets. Urinal screens and blocks were replaced with NILodor’s thin, flexible ULTRA Air Deodorizing Screens which are recyclable, biodegradable, and contain 15 times more fragrance than traditional screens. These screens release billions of odor-eating bacteria to continually eliminate odors. Recyclable ULTRA Air Hangers periodically provide extra odor counteractant power when needed. The success of the environmental transition in the restrooms led to incorporating the NILodor odor control and cleaning technology in other areas of the stores, including the bottle return room and its dumpster compactor area. The next time you step into a grocery store known for its natural foods and fresh values, consider the other aspects of facility maintenance which provide an inviting environment, including how the company addresses its eco-friendly odor control. Then ask if they rely on NILodor. 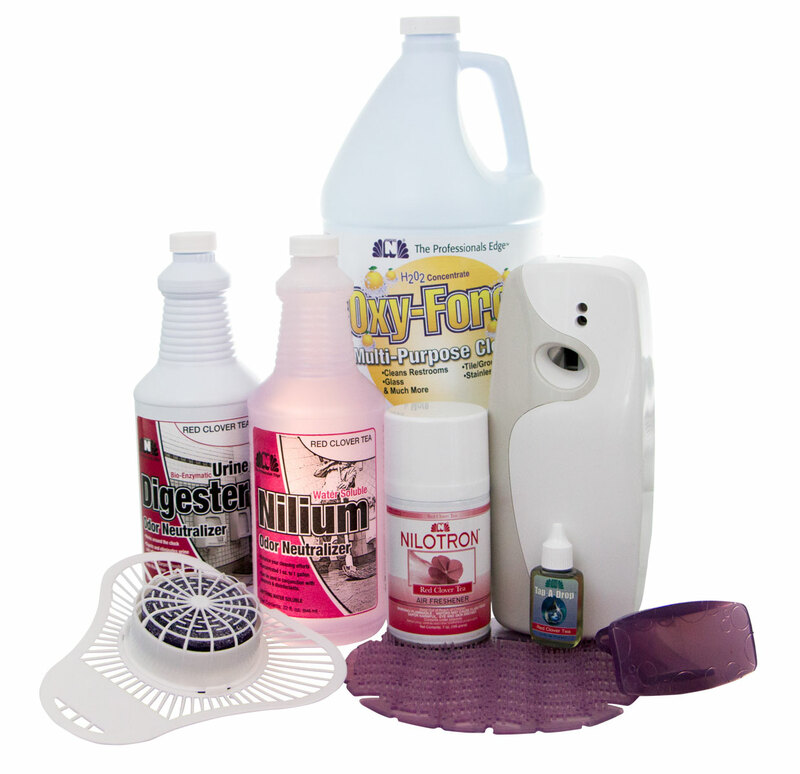 Products with coordinated fragrance across all steps of cleaning & odor control. Below are the currently available fragrance systems. We apologize, but White Clover is no longer available. Try one of our other great fragrances! Nilodor, Inc. announces their new odor control system, White Clover. White Clover is a powerful but soft fragrance unlike anything in the Jan/San market. With the addition of White Clover, Nilodor now offers 10 complete odor control programs from which to choose. White Clover Bio-Enzymatic Urine Digester, and other fragrances, contain selected strains of natural bacteria, enzymes and a proprietary odor counteractant. Extremely efficient at breaking down and digesting organic waste, which eliminates source of odor. The ORIGINAL fragrance has been approved by the Carpet and Rug Institute (CRI). All fragrances of Bi0-Enzymatic Urine Digester are available Here. White Clover Nilotron™ Air Freshener, and other fragrances, contain unique fragrances blended to freshen the air for up to 24 hours. The 7 oz. Nilotron™ refills contain 3,100 metered releases. Select from 24 pleasing fragrances. Use with Nilotron automatic dispenser or by hand. AEROSOLS SHIPPED VIA GROUND ONLY. All fragrances of Nilotron™ Air Fresheners are available Here by case or Here individually. White Clover Nilium™ Water Soluble Deodorizer, and other fragrances, is our most popular water soluble odor counteractant available (1oz/gal). Can be used alone or in conjunction with a detergent/disinfectant. 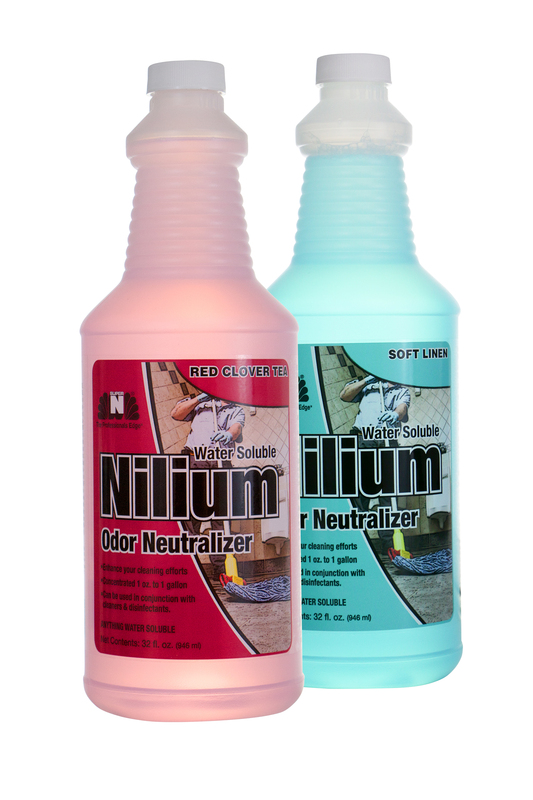 Nilium™ is the most effective water-soluble odor counteractant available. Nilium™ is specially formulated with the world famous proprietary odor counteractant, Super N Concentrate. 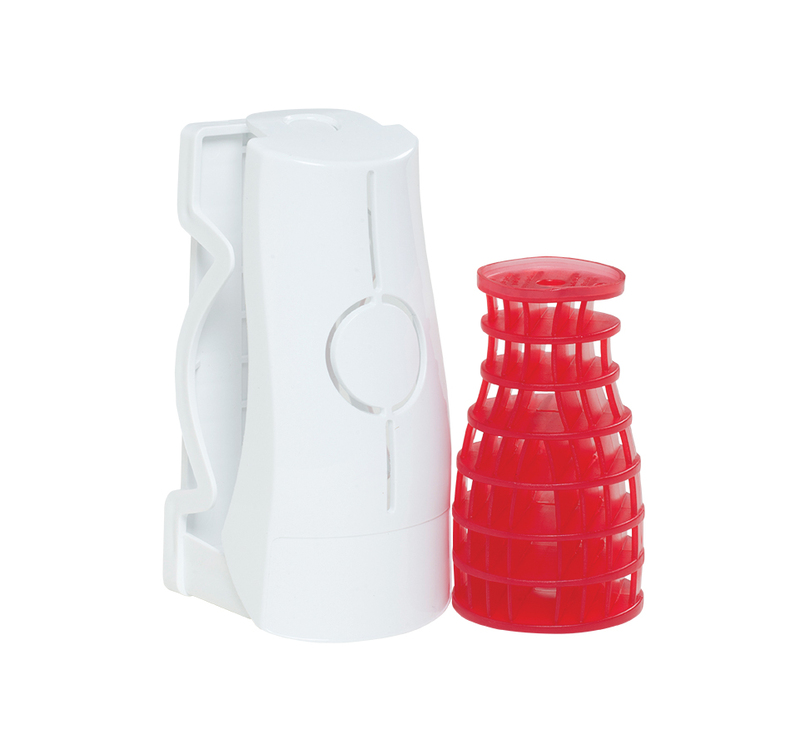 Nilium™ will neutralize malodors and provide immediate relief with a pleasant fragrance. All fragrances of Nilium™ Water Soluble Deodorizer are available Here by case or Here individually.